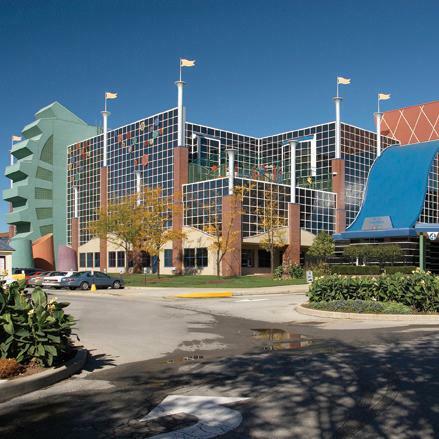 Peyton Manning Children’s Hospital at St. Vincent is seeking a BE/BC Pediatric Neurologist for our hospital in Indianapolis. Our ideal candidate will be a personable, patient-focused and team oriented child neurologist who enjoys both inpatient consults and outpatient care. While it is a general child neurology practice, there is the opportunity to pursue personal interests within the field. Features include: a free-standing tertiary care, pediatric hospital with 40 private inpatient beds and 6 short stay beds, staffed in-house 24/7 by our Pediatric Hospitalist group; a 23-bed PICU staffed 24/7 by Pediatric Intensivists; a 17-bed Pediatric Emergency department staffed 24/7 by Pediatric Emergency physicians; and Indiana’s largest Level IV NICU with 96 beds staffed 24/7 by Neonatologists. St. Vincent offers a very competitive compensation package that includes: Competitive base salaries, Relocation allowance, CME, Comprehensive health benefits, Retirement savings plan (403b) with match, Malpractice with tail coverage and generous paid time off. Indiana-a great place to live and work! Ranked as one of the nation’s top physician friendly states by Medical Economics, Indiana offers a reasonable cost of living and some of the nation’s top school districts where you and your family can enjoy a hassle-free lifestyle. The state has an excellent business climate, some of the lowest housing and utility costs in the country and an abundance of cultural and recreational opportunities that will appeal to every family member. Our international airport is within an easy drive and provides direct flights to most major destinations. St.Vincent Health is a mission-based alliance of healthcare providers located throughout Indiana. And all of our providers are guided by the same guiding principles: a commitment to quality, compassion, and affordability in health care. Moreover, we’re dedicated to giving our employees the tools and resources they need to be successful. For the thousands who already work here, being a part of the St.Vincent family is more than a job. It’s a calling. Employees enjoy full medical, dental and vision insurance, a Flexible Spending Account, and long-term and short-term disability benefits. Employees get an Employee 403 (b) and employer matching contributions, employer-paid term life insurance, a comprehensive legal plan, and a retirement well-being program. Paid time off, holidays, funeral leave, maternity leave, personal days, PerkSpot associate discount program, auto and homeowners insurance, and spiritual formation opportunities. HealthGrades and other healthcare rating organizations consistently rank St.Vincent Health hospitals among the highest in Indiana in patient satisfaction and outcomes. Meet our recruitment team at St.Vincent Medical Group. St.Vincent Medical Group is a comprehensive network of primary and specialty care physicians, recognized nationally and internationally. Together with our local healthcare facilities, including 20 St.Vincent Health hospital ministries, St.Vincent Medical Group physicians provide health care to residents in 35 counties across Indiana.